Real Life Video gives your training that extra dimension. 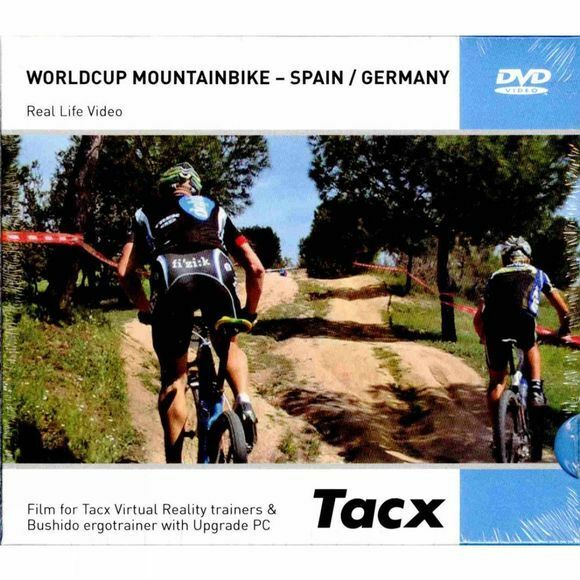 There are currently over twenty films available specifically for Tacx VR trainers covering legendary stages and cycling classics. You control the speed of the films with your own cycling pace, you can really feel the steepness of the gradients. The Mortirolo is one of the most feared climbs in the Tour of Italy now you can find out for your self why this is so! This ride starts with a strategically placed 21km long warm-up along the shores of the incredibly scenic Lago d'Iseo. Following this is a classic climb up the Passo del Gavia which is also one of the toughest climbs in the Tacx Real Life Video collection. After a long descent to the town of Bormio you start the 3rd part of the ride.